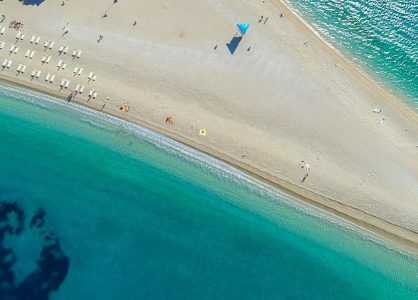 I’ve recently landed myself the fortunate role of Marketing Manager for Unforgettable Croatia. With previous experience marketing for adventure travel and holidays at sea, I am always curious to discover new, little-known places. 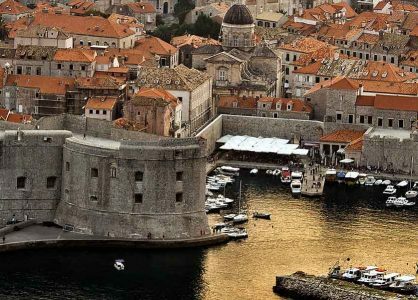 For me, Croatia fits this description perfectly and I’m enjoying getting stuck in and learning from the knowledgeable Croatia experts already established in our exciting, service-led company. 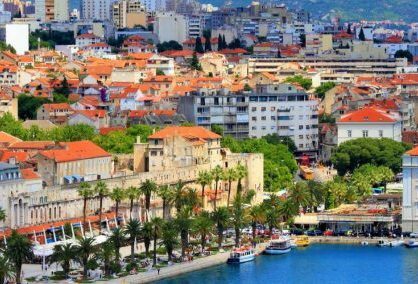 So indulge me, if you will, whilst I share my experiences of Croatia in a series of blog posts: Heather’s Travels. I took a Croatia islands cruise along the Dalmatian coast and along the way we visited the island of Mljet and it’s national park. Our small party of cruise passengers disembarked the Avangard. 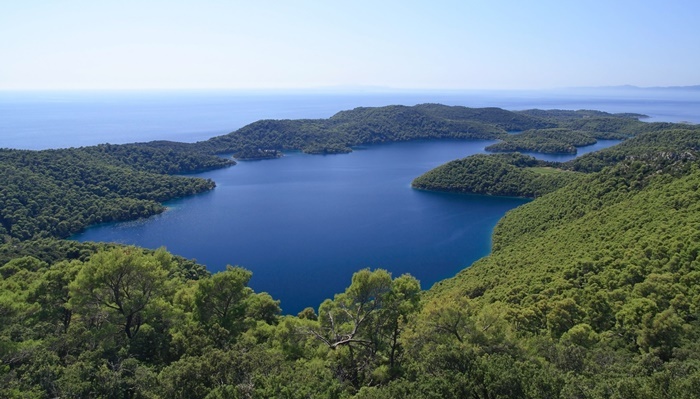 We followed Ivan, our Cruise Manager, from the picturesque harbour up a small hill to the beginning of the path that leads to the two salt lakes in the centre of the island of Mljet. After a 15-minute amble through the pine trees, we caught our first glimpse of the smaller of the two lakes, which I learnt was a mix of fresh and salt water and is 29m deep. On continuing our walk around the perimeter of the lake, we reached a small bridge which separated the larger and smaller lakes. The crystal clear, bright turquoise water looked very inviting. Each of the lakes is ringed by gentle hills, coated in undisturbed greenery. In late September, the weather was warm and the sky against the treetops was azure blue. We hopped aboard a small local ferry on the edge of the larger lake. We chugged serenely across the glassy surface, every now and then passing abandoned lakefront houses with an air of dilapidated grandeur. Our destination was the tiny St. Mary’s Island, just 10 minutes from the outer edge of the lake. It is home to a Benedictine monastery, a café, Melita, serving refreshments and local food, Roman ruins and a couple of donkeys. A short walk up some stone steps, past the ruins lead me to my new favourite view from the top of the island. After covering most of the ground on the island, we caught the small ferry back to the edge of the lake. Here, a friend and I chose to hire bikes (40 kuna for an hour) and cycled the circumference of the large lake. I’m so glad I did; the cycle was mostly flat and afforded us truly spectacular views. The only tricky bit was carrying the bike over the steps of a newly built bridge at the opposite end of the lake. It’s worth turning right on the other side of the bridge and continuing to the tiny hamlet of Soline. There’s not much here apart from a feeling of a traditional, sleepy way-of-life, and a little restaurant with tables and chairs right on the bank of the sunny lake. The menu offered octopus, salted sardines or tuna salad, fish of the day, cheese, ham and homemade cake. My cycle buddy and I headed back to return our bikes and then strolled back to Avangard. 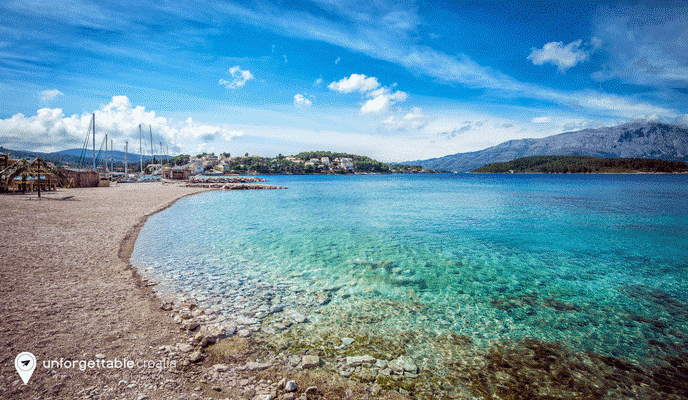 If you’d like to explore Mljet and other island gems, our Dubrovnik & Islands Island Hopping Cruise is the one for you. Give one of our team a call today to find out more.